Mother Theresa of Calcutta believed no child should ever be neglected or unloved. Shouldn't that be a no brainer? You'd think so, but the truth is that all around the globe there are neglected and unloved children. In 2003 Epiphany House was established to embrace the belief of Mother Theresa and the command of God to care for the orphaned. (James 1:27). On January 6th of this year, Epiphany House marked its 15th anniversary as a 501c3 charitable organization. 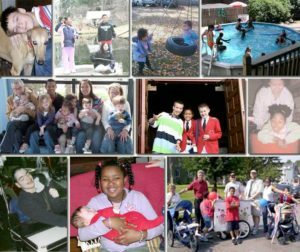 The mission of Epiphany House, however, preceded its institution when a Lansdowne family began foster care in 1996. The necessity for foster and adoptive families soon became quite apparent to this couple. Soon after it was founded, Epiphany House aligned itself with seven religious social service agencies in a two year initiative, funded by the Pew Foundation, to recruit families through faith communities. Epiphany House joined forces with churches in Landsowne and Upper Darby PA in that endeavor. Meanwhile numerous children came to Epiphany House. Seven of them, now 25 through 8 years of age, permanently and scores of others stayed for days, months or years. Among those were several soon to be moms who came to Epiphany House through an alliance with The Mothers' Home in Darby, PA. In time, Epiphany House affiliated with Illinois based Generations of Hope which promoted a multi generational community approach to foster care and adoption. Based on this model Epiphany House was inspired to launch its Family of Families approach to building a local community of foster and adoptive families dedicated to supporting one another in their commitments.